Hope you take advantage of the “holiday” and indulge. Today, I served a light chocolate ice cream with chocolate chips and a bit of chocolate ganache. CHOCOLATE GANACHE is the BEST add-in ingredient for ice cream! 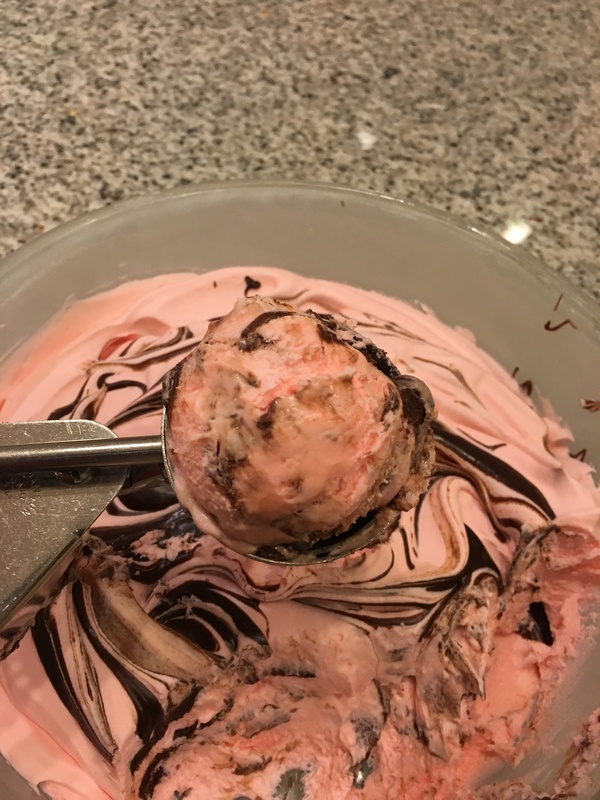 Here’s a bowl of peppermint ice cream with swirls of chocolate ganache. 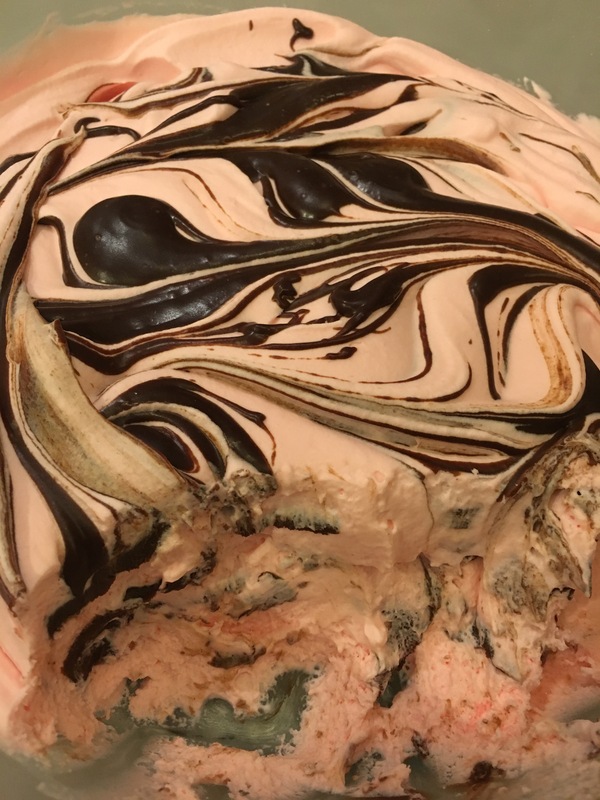 Peppermint is a great flavor for the winter time holidays, but the chocolate ganache could just as easily and tastily be added to vanilla, coffee, mint, cherry, peanut butter, or any other flavor ice cream. Chocolate ganache is better than chocolate chips, chocolate sauce, and hot fudge! Here’s a video on how to make 2 ingredient ice cream.